elcome to the FORA Planning Department. We are responsible for supporting the implementation of the 1997 Base Reuse Plan. We work closely with the FORA jurisdictions to ensure the Base Reuse Plan ideals are realized and the redevelopment of the former base moves forward. 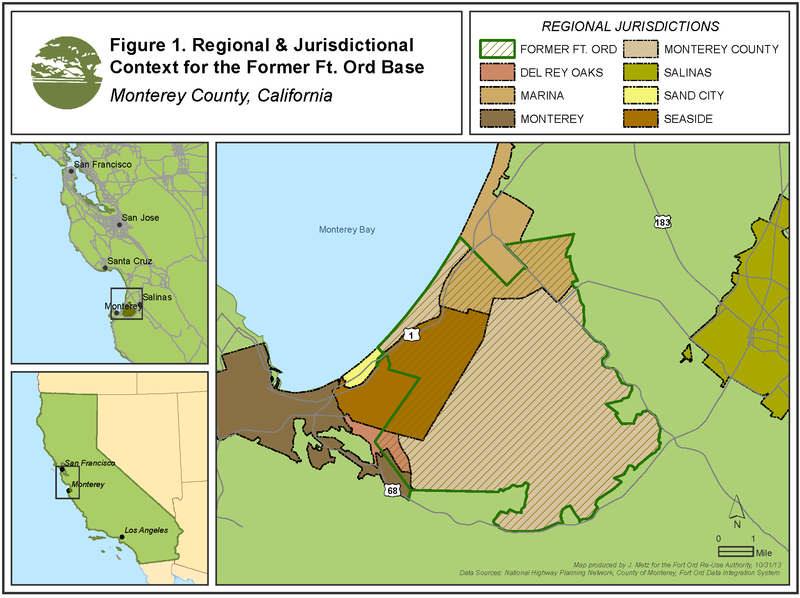 On any given day we can be found processing legislative landuse and development entitlement consistency determinations, curating the development of the Fort Ord Regional Habitat Conservation Plan, facilitating the creation of Regional Urban Design Guidelines, moving Base Reuse Plan Reassessment items to completion, staffing our regular committee and Board meetings, or responding to any number of landuse related issues and decision processes. We are here to help the FORA community realize the ideals of the 1997 Base Reuse Plan and welcome the opportunity to support active community engagement in the process. To speak to a member of the Planning staff, please call the FORA office: 831-883-3672, Monday through Friday, 8am to 5pm.